AceVPN – High card or a joker? We’re here to find out how much value and performance AceVPN can give customers. Okay AceVPN, here’s a mark in your favor; we’re pleased to say that AceVPN servers do work with Netflix (well, the ones that we managed to get working…). Looking for more reliable VPNs that work with Netflix? We’ve compiled a list of the best ones right here. AceVPN uses the top of the line AES 256-bit encryption. In addition to this, they also have IKEv2 IPSec VPN servers with a 384-bit elliptic curve digital signature algorithm. They support the industry’s favorite protocol: OpenVPN, which many consider to be the leading protocol today. 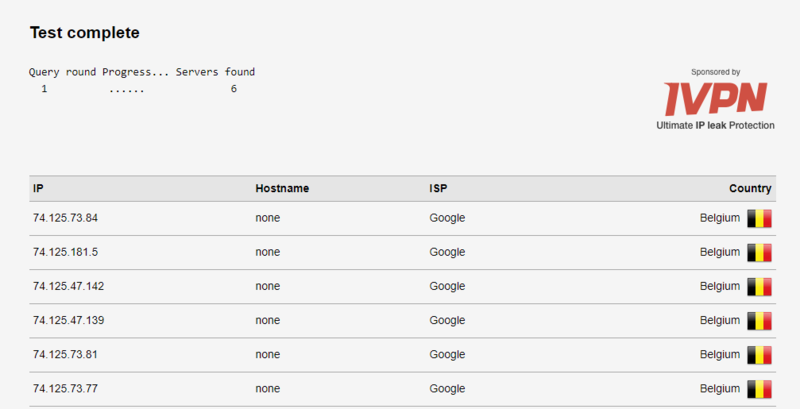 They also support other protocols such as L2TP, PPTP, IPSec, IKEv2, and Smart DNS. Yes, they offer a kill switch. Handy! 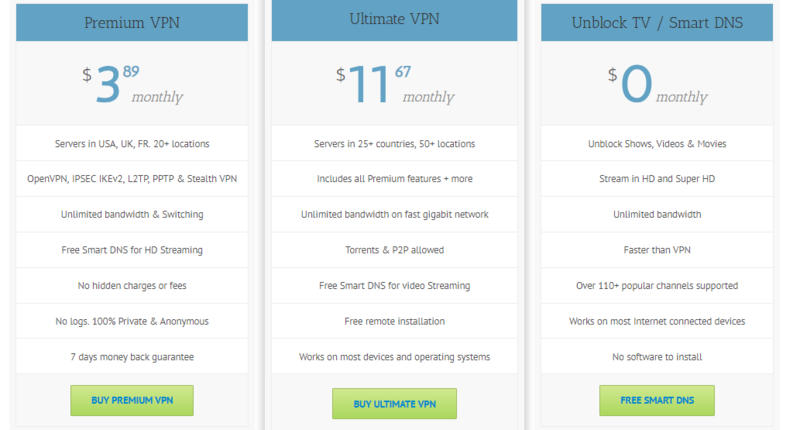 AceVPN allows users who purchase their Ultimate Plan to torrent, only with servers that are outside of the US and UK. So yes, you can torrent – just expect to have to pay for it, by purchasing the higher tier package. If unlimited torrenting is a top priority for you, check out our list of the best VPNs for torrenting. Device Compatibility: Nice job AceVPN, everything is supported! If you’re a fan of gadgets and have a number of devices, you’ll have no problem connecting them with AceVPN, as they support a ton of devices. The usual Windows, MacOS, Android, iOS, and Linux. They also support Playstation, Xbox, Nintendo Wii, Windows phones, Chromecast, Roku, Asus Routers, Tomato Routers, DD-WRT Routers, Kindle Fire TV and Blu-Ray players – phew. Enough choice for you? The only downside? You can only connect one device at a time. 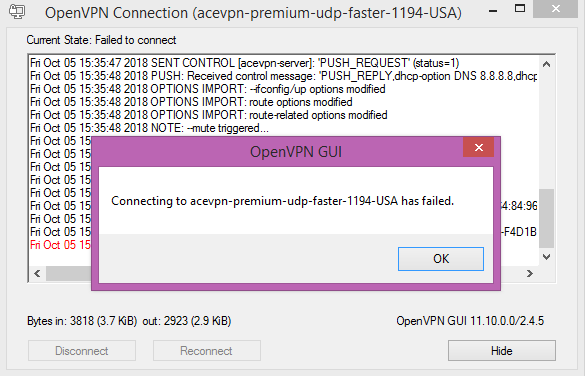 Not good, AceVPN, not good. AceVPN offers a 7-day money-back guarantee for both their plans. This comes with no limitations or restrictions, which is nice to see. The only catch? There’s a one dollar fee for processing the refund. AceVPN only offers a ticket system, which at this point is unsurprising. We emailed them to ask if they have a free trial and got a reply 5 hours later. We’ve definitely seen better (faster) systems here. Servers and Locations: Where are the rest? AceVPN has been in business for more than 9 years, but their server offering stops at 50, and across 26 countries. For a VPN that’s been around for quite some time, this server count is extremely low; considering that there are competitors who are new but offer hundreds if not thousands of servers, this is bleak – very disappointing. One could argue that the quantity doesn’t matter – only the quality. It wasn’t just one server in the US, this kept happening for the UK region as well. AceVPN offers two plans; Premium and Ultimate. Both plans offer unlimited bandwidth connection, no logging, Free Smart DNS for HD streaming, secure encryption, a seven-day money-back guarantee, and access to all the protocols. The only difference is their Premium plan only gives you access to 20+ servers that are located in USA, UK, and France. Their Ultimate plan meanwhile gives you access to all 50 servers in 20 countries and allows you to torrent. For the pricing, there seems to be a discrepancy as you’ll see in their homepage that the premium plan costs $3.89 while the Ultimate plan costs $11.67. But if you click “buy now”, the prices change to $5.95 and $15.00 per month. Upon registering we found that the actual prices are $5.95 and $15.00, respectively. It’s a marketing tactic to convince users their service is cheap, and spring a heftier price on them once they’re in the process of purchasing. 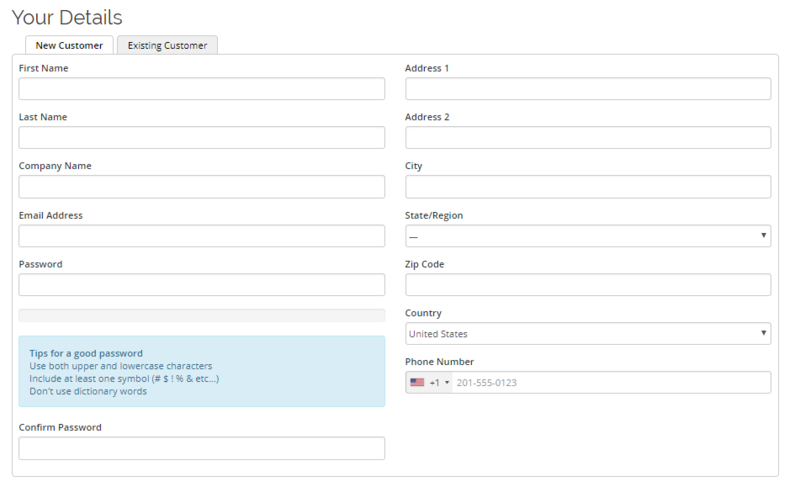 As you check out, you can choose the billing cycle. $140 triennially comes out to $3.89, as advertised. In addition to their two plans, they also offer a free VPN with the features of the premium VPN, focused on providing service to journalists, bloggers, activists, and influencers. To get the free VPN, you have to email them saying you want the free VPN and that your career is in line with their limitations. AceVPN allows users to pay using PayPal, mail-in payments, or Bitcoin. Nice to see Bitcoin on the list. Signing up for AceVPN was quick and easy, but they ask for a lot of information. First, choose which plan you want to go with. Then pick what billing cycle you prefer. This will then take you to the review and checkout page where you need to put your email address, password, physical address, phone number, and preferred payment method. You can also enter a promotion code if you have one available. 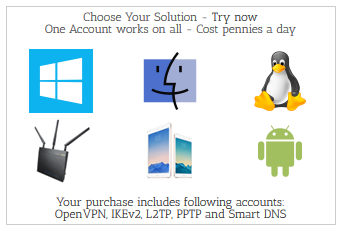 Contrary to other VPNs that only ask for payment info and email address, this is a lot of information. After you sign up, it’ll lead you to your client area. The hassle comes when you try to download the software because there’s no indication where the download link actually is. To download AceVPN on your device, you have to click on the active products and services that you’ll see in the client area. Scroll down and you’ll find your login credentials. Click on the VPN Servers and Configuration. What’s displayed there is dependent on the operating system you’re using. Head to your taskbar located on the bottom right of your screen, and click on their icon. A list of their servers will appear and you may choose which one you want to connect to. So, the program’s interface is fine, in contrast to their website, which is frankly, a mess. Just finding the download button was difficult. Make it easy for customers AceVPN, please. The layout of their whole website will definitely benefit from being rearranged to a more efficient. Some of the tutorials offering in their knowledge base area, like the one for Windows, are accompanied by a video tutorial – pretty convenient until you notice that it is severely outdated and no longer matches the new version of their product. Disclaimed underneath the video is a note saying that they will be updating the video shortly. I mean, if it’s outdated, why would you keep it up on your website, causing confusion for your users? Like many VPNs, AceVPN also claims to have a no logging policy. AceVPN logs personal information such as name, address, telephone number, credit or debit information, e-mail address, date of birth, IP address and the last four digits of your credit card information. Forgive us if we don’t believe that. Since we were only able to connect to the French server, we only have one set of tests to show, unfortunately – but don’t worry, because it’s more than enough to cover plenty. 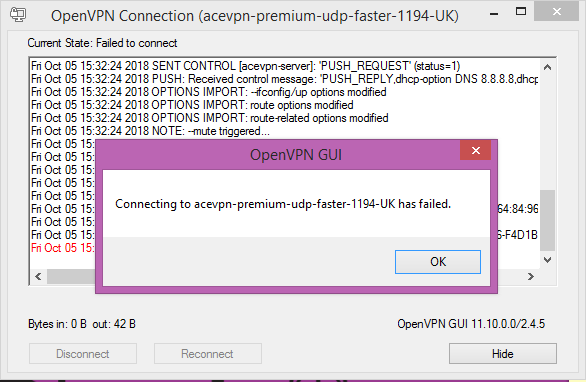 AceVPN isn’t the most reliable VPN – far from it, in fact. The IP test had leaks o’plenty. Their DNS leak test was clean, though! So…yay, we guess, for that? AceVPN is based in the U.S. It has been popular among users in Turkey since 2013, when the government shut down access to Facebook and Twitter in retaliation for the Gezi Park protests. AceVPN is US-based, meaning it falls under the Five, Nine, and Fourteen-Eyes Alliance. In other words, your data could be at risk if AceVPN does track your data – and as mentioned elsewhere, we’d be surprised if your data did indeed stay private. Good God, no. Just no. 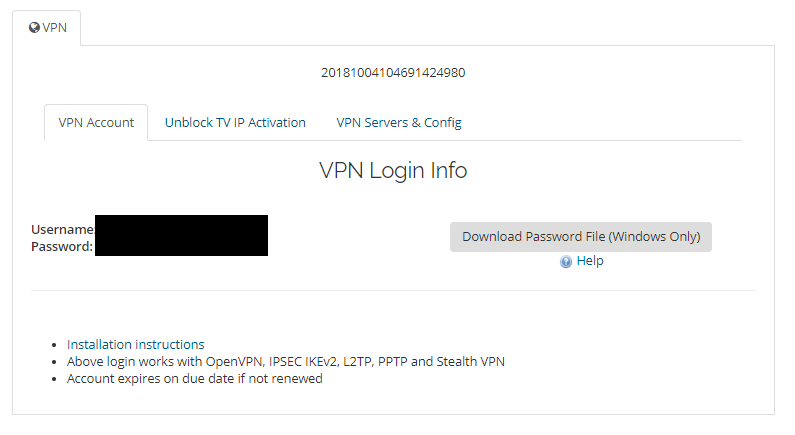 The only positive things we have to say about AceVPN is that they offer Netflix access and a kill-switch – not exactly unique in the VPN world. Honestly, based on our experience? Look elsewhere, and stay far far far away from AceVPN. Seriously, any one of these VPNs would get you a much better service.